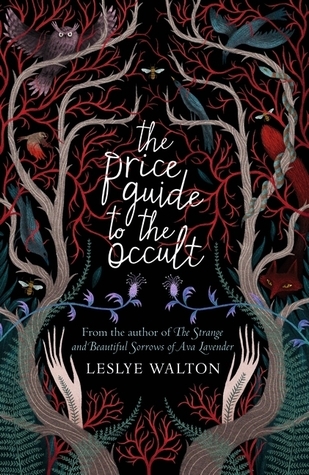 The Price Guide to the Occult by Leslye Walton (proof) - When Rona Blackburn landed on Anathema Island more than a century ago, her otherworldly skills might have benefited friendlier neighbors. Instead, guilt and fear led the island’s original eight settlers to burn “the witch” out of her home. So Rona invoked the privileges of a witch; she cursed them. But such a spell always comes with a terrible price, and in punishing the island's residents, Rona also bound her family ever tighter to them. Fast-forward to the present day and all Nor Blackburn wants is to live an unremarkable teenage life. And she has reason to hope that she may have escaped the thorny side-effects of the family matriach's curse. But then a mysterious book comes out, promising to cast any spell for the right price. The author – Nor’s own mother – seems capable of performing magic that should be far beyond her capabilities. And such magic always requires a sacrifice. A storm is coming. It's coming for Nor. From Goodreads. I was sent this proof for free by Walker Books for the purposes of providing an honest review. Trigger Warning: This book features discussion of child abuse, self-harm, and graphic violence. Having loved The Strange and Beautiful Sorrows of Ava Lavender, I was very excited to read Leslye Walton's second novel. However, I'm sorry to say The Price Guide to the Occult was a huge let down. Nor is the eighth in a line of women descended from Rona Blackburn, a witch who landed on Anathema island generations ago. Rona cursed the inhabitants of the island when the lust of one of the original eight colonisers is put down to witchcraft, leading the eight, full of fear and suspicion, to burn her house down, hoping to kill her. Rona escaped, and in anger, cursed the island, and, unwittingly, tied her descendants to the island. Since then, instead of having all of Rona's gifts - or burdens - each Blackburn woman would have only one, and each different. So when Nor's abusive absentee mother, Fern, publishes a catalogue, The Price Guide to the Occult, claiming to perform any spell for customers at a price, they know something is up. Fern can't wield that kind of magic, not naturally. It's black magic that comes at a price, one you can't pay for in money. With the popularity of her book, and the magic Fern is undoubtedly performing, Fern gains a cult following; people eager to please the charming and enigmatic witch. But Nor, knowing her mother's lust for power, knows that nothing good can come from this, and with the sea life leaving the oceans around the island, and the flora becoming excessively thorny and hostile, the island knows danger is coming. 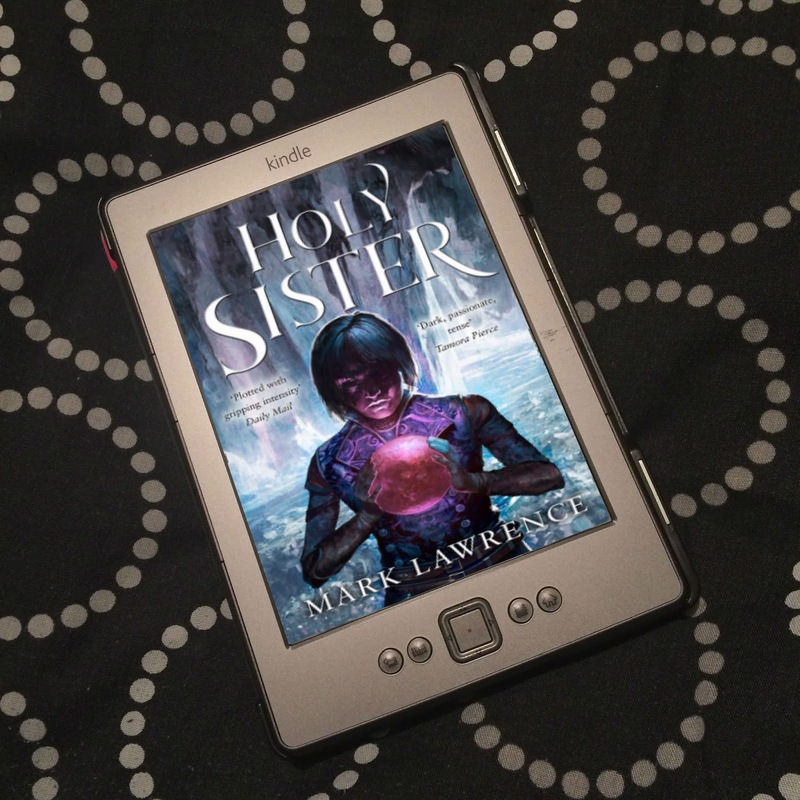 I love me a witchy story, but I also absolutely adored Ava Lavender, and it was my love for that book that had me wanting to read this one. Walton's first book was kind of literary, with beautiful, lush writing and gorgeous imagery, with incredible atmosphere, and wonderful magical realism. It was just completely captivating! And I was expecting more of the same with Price Guide. However, it was so different that it felt like it was written by someone else completely. The Price Guide to the Occult had all the elements of a great story; the strange disappearance of the whales and other sea life from the waters surrounding the island, how the plants grew busy and thorny, encroaching on trails and harming anyone who walks past them, and strangling trees. The way a mysterious fog descends on the island. Even Nor with her burden to hear the thoughts and feelings of animals and plants, and what we find out because of it. Plus a witch who's lust for power leads her to performing unspeakable acts. This book should be incredible. But it fell so flat. Price Guide is at once too fast and too slow. Months skip by at the turning of a page, so something big that just happened is suddenly months in the past. And yet we get no real answers for a long time. Why is the sea life leaving? And the plants becoming so violent? As I've said, months go by really quickly, but practically no-one questions the weird behaviour of plants, or the empty ocean, or the surrounding fog? I mean, Nor's grandmother, Judd - a giantess of a woman who is strong, blunt and grouchy - who is bringing Nor up, is a witch, too, and granted, there are things Nor is keeping from her (for reasons I never really understood), but surely she would notice. Judd never really got on well with Fern, so she's angry at her for the book, and thinks it's terrible that she's performing black magic... and yet does nothing? Knowing what the price likely is? And doesn't at all question the weird happenings on the island? Not only is it not realistic, it also just makes the story feel quite slow, for lack of answers, even though it's a pretty short book at 278 pages. And Price Guide should have been creepy, and exceptionally dark. Nor starts having dreams where she's able to see what her mother is up to, and, mate, it's terrifying. Except, it's not. I don't want to spoil the story, but this book is violent. And yet, I felt at such a distance from it all, it just didn't affect me. The tone and atmosphere was all wrong. I didn't really feel anything throughout reading the book. I should have been appalled, I should have felt scared of Fern, but I just didn't. She felt two dimensional to me, and almost a caricature of a villain. And I think part of that is down to motivation and the question of how? when it comes to worldbuilding. Why was Fern doing what she was doing? Because she wants all the power. But why did she want all the power? Well... just because. There was no inkling as to what she planned to do with her power once she had what she wanted, or any real reason behind it. It just wasn't developed enough. And then there's the question of how. And also why. How did any of the witches perform their magic? 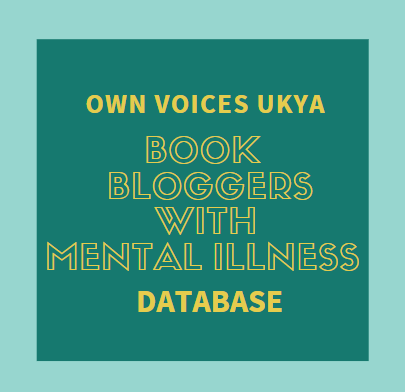 Yes, they have their individual burdens, but how did they use them, how do they make them work? We're not told. And when it comes to Fern's black magic, how does Fern doing terrible things allow her to use power she doesn't actually have - and why? And that ending, the final confrontation, what was happening? Literally, what was actually going on that led to what happened? "Magic was happening" is not a good enough answer. I don't understand the magic or how it works or why, things just happen because people have power, and there's no real explanation. But also, that ending, however it happened, was far too easy. What happened to Fern in the lead up to the confrontation, and why? And what was going on with Nor? And how did that ending happen, and how did it happen so easily when we've already seen certain things? The only good thing going for the story was the diversity. Both Fern and Judd are queer; they've both had relationships with men and women, and Nor is currently being raised by Judd and Apothia, Judd's partner. Apothia's surname is Wu, so she's East Asian, and has cheongsams in her dance studio, making me think she may be Chinese. Savvy, Nor's best friend, has brown skin. Madge, Fern's former partner and Nor's employer at occult shop The Witching Hour, I think may be Japanese, her surname being Shimizu - but this isn't clarified one way or the other. Price Guide had no answers, no atmosphere, no real depth. With the way the story ended, it looks like there is going to be a sequel, but I won't be reading it. This was such a huge let down, and I'm so very disappointed. 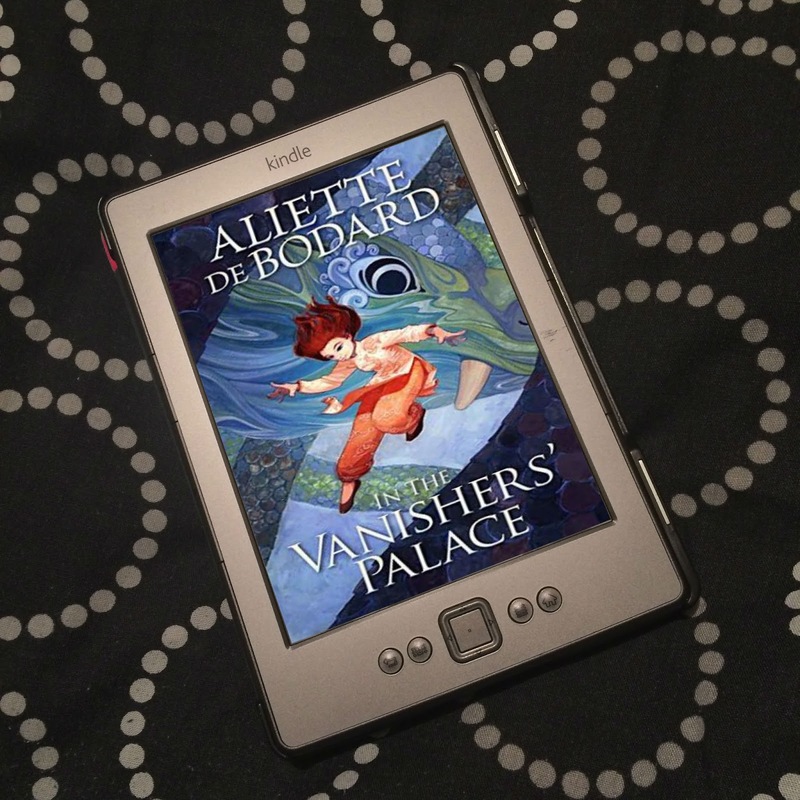 Ahhh, yeah, I agree with a lot of what you've written here (especially having been so in love with Ava Lavender and then finding Price Guide sooo different) and now I'm wondering how I rated this book four stars, haha. I tried to judge it separately from Ava but even so, it's kind of a weak story. I just really didn't enjoy it! It felt so much like it was written by someone else, and there was so much of it that just fell really flat or wasn't developed enough. I was just so disappointed after loving Ava Lavdender! Really didn't work for me, sadly.